The Rapid V-Drain ™ system and Easy-Flow Drain Spouts allow for quick and effortless removal of excess water, while the sealed drain plug prevents leaks. It doesn't come with a wire basket. With 45-quart capacity and reasonable weight, it’s one of the most versatile hard coolers on the market. It's good for medium trips in extreme conditions. Heavy-duty handles are made of marine-grade ropes and have textured grips, so they evenly distribute the weight of the cooler for easy hauling. This is a fairly large (and capacious) RTIC hard cooler which is ideal for long trips, picnics, offshore fishing, tailgating, big parties, and more. No-sweat exterior prevents the formation of moisture, which is especially handy when carrying the cooler in hands. The shoulder strap isn't very durable. 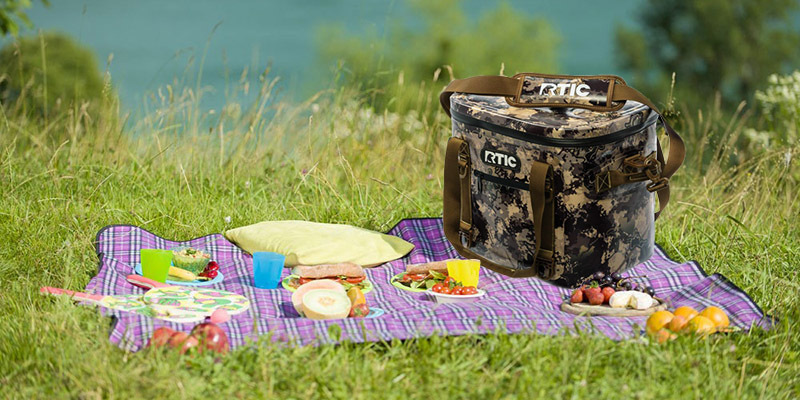 The RTIC 20 soft bag is an inexpensive and portable cooler for storing supplies for 2 people. It's quite compact yet spacious inside. Can serve as a lunch cooler. 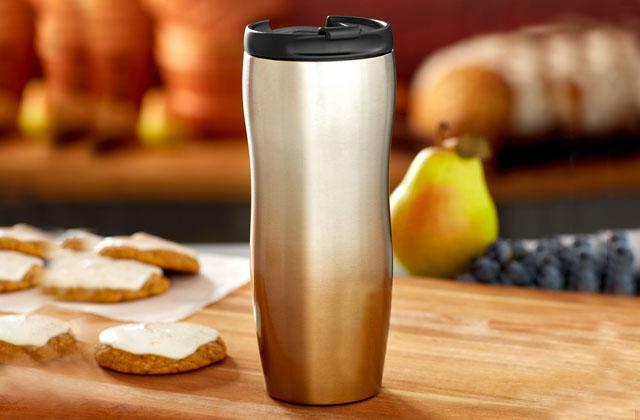 The Easy-access lid opens wide enough to let you quickly find the meal or drink you need. Also, its design allows you to easily load bulky food. It might have a plastic smell to it when you open it for the first time. Being reasonably small and lightweight, the RTIC Soft Pack 40 is an ideal solution for short trips. It provides ample room to store 27 cans (12-oz each) and some food for a weekend camping or boating trip. The Anti-microbial liner minimizes the risk of bacteria and mold appearance, which is especially important if you use this bag for perishables. Cleaning the bag, alongside the liner, is also a breeze. The zipper is too stiff. The SoftPak 30 is the golden mean between 20-quart and 40-quart soft models. It's a good midsize bag that can withstand extreme heat and accompany you on any road trip, tailgate, or outdoor activity. The RTIC 45-quart model is one of the most popular of RTIC hard coolers since it’s one of the most versatile options. It’s large enough for tailgating, fishing, boating and still, it’s portable enough to take to the beach, park or picnic. Unfortunately, the 45 model has no additional wheels, so you’ll need to carry it around by hand. That said, it has two pairs of comfy handles: one molded in and the other made of marine-grade textured rope, both making it convenient to carry. So you basically have a choice how you want to haul it, depending on how heavy the cooler gets. 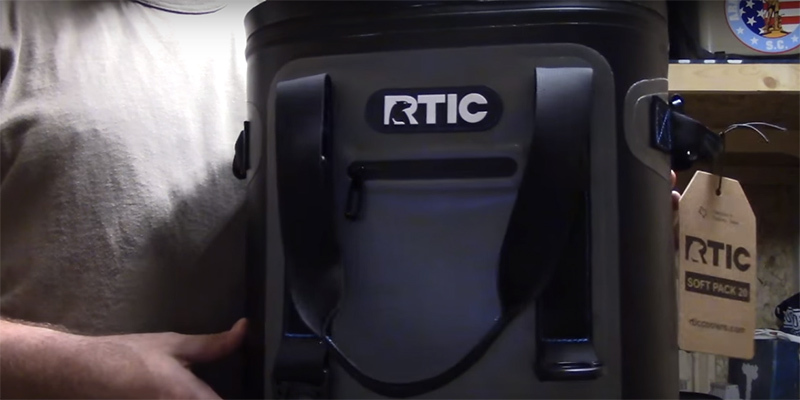 Note that the RTIC 45 cooler is rather heavy on its own with its 25 lb of weight. When fully loaded with drinks and ice, its weight may further go up and reach 50 lbs and more. Yet, behind such big weight lies the amazing cooling capabilities of the cooler. Thanks to the thick insulation layer and rotomolded design, the cooler can keep ice for more than one week. Another advantage of rotomolded construction is that it's not easy to damage or break it. There are no seals in the walls and no weak points that could let the heat or water in. Inside the box, there's a thick two-inch polyurethane foam insulation. The bottom has a unique Cool Lift Design -it's slightly raised above the ground so that it doesn't touch surfaces. Thanks to this, this chest will stay as cool as possible even in the hottest conditions. This icebox comes fully assembled with the heavy-duty rubber T-latches, marine-grade rope handles, and non-slip feet. It’s ready to go right after unpacking. Just load it with ice, food, and drinks and put it into your vehicle. The chest can hold 36 cans, 40 lbs of ice or 45 quarts (11.25gallons) of liquid. It’s truly one of the best heavy-duty coolers for medium trips in extreme conditions. 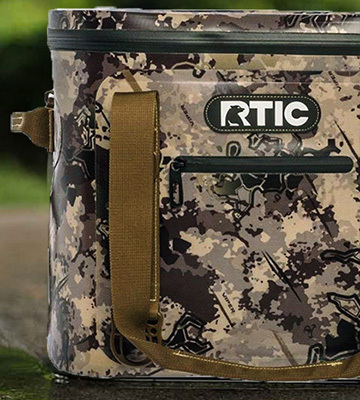 The RTIC 45 cooler is so popular not only because of its excellent impact-resistance and long-lasting ice retention but also because of its versatile design. This mid-sizes cooler can perform double duty as a sitting bench, non-slip stool, tabletop and even an extra cutting board, while keeping perishables icy cold. 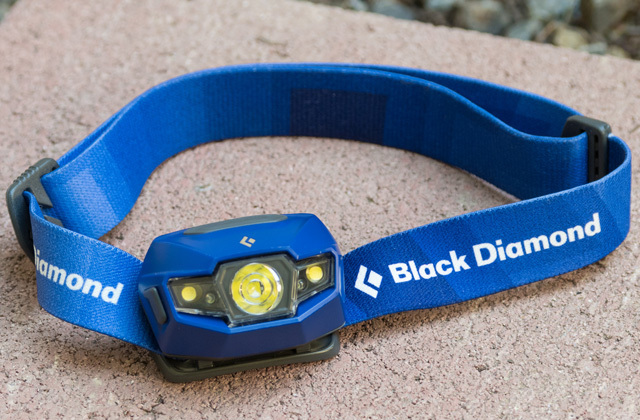 This multipurpose design makes it a reliable companion for any outdoor adventure. The RTIC 65 is another step up in size from the RTIC 45 model, which looks very similar to its smaller brother. The beauty of this large cooler is that it can accommodate food and drinks for 3-4 people group, yet it can be carried by one person. When empty, the RTIC 65 weighs 36.5 lbs. It can hold as many as 64 cans or incredible 70 lbs of ice. If you’re planning to fill it with liquid, you’ll be able to pour into the chest 65 quarts or 16.25 gallons. As for exterior dimensions, the cooler is 30 5/8” x 15 ½” on the bottom and 32 ¼” x 18 ½” on the top. So, it can easily fit in the trunk of almost any vehicle and at the back of pickup trucks. Like most RTIC hard coolers, this one has a roto-molded construction with no seals that might wear and tear, thus exposing the insulation. Within the heavy-duty walls, you’ll find a thick insulation layer that can keep the contents cool for about 10 days. 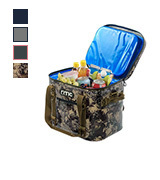 Aside from that, there are some other nifty features that make this blue RTIC cooler bomb-proof and attractive for serious outdoor enthusiasts. It’s truly a super-robust ice chest that provides ample storage space for extended camping trips, offshore fishing, hunting bigger games, and large parties. 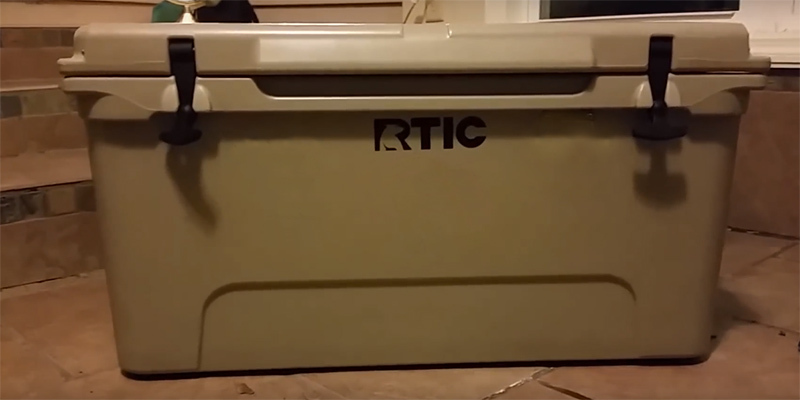 This review would be incomplete without mentioning some hallmarks of the RTIC 65 cooler. It has a rapid V-drain system with the easy-flow drain spout mounted to the side. Hence, you can easily drain the excess water at the end of the day. The T-latches are made of heavy-duty rubber. They ensure smooth closure and opening, and can endure different extreme conditions. The “T” design make the latches easier to grip and handle. Traction lid can double as a casting platform, non-slip step stool, or tabletop. Additionally, you can use an integrated locking to make the cooler not only more secure but also to keep the lid in place if need be. Bear-resistance. Like many other high-end coolers, this one is grizzly-proof. If you travel in a bear environment, grizzly won’t be able to eat the contents. The full-length interlocking hinges ensure that the lid won’t separate from the body of the cooler. This is especially useful if you often go on extended trips. Dry ice compatibility. The cooler is compatible with dry ice that can keep the contents cool much longer. The item comes with the molded tie-down slots that make it possible to secure the cooler to a boat or trailer for safe transportation without bouncing around. As you see, the cooler is ready for any activity you’re getting out. 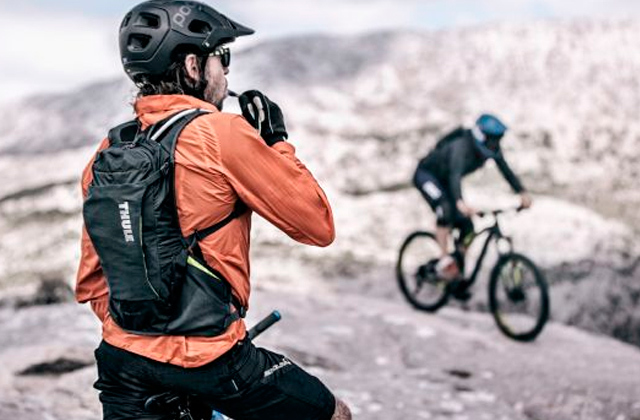 If you’re on the market for a compact and lightweight cooler, the RTIC 20 Soft Pack is a good fit. It’s one of the smallest and, consequently, most portable RTIC cooler bags. In addition, it’s a very reasonably-priced soft model that naturally offers a bit more flexibility than hard-sided ice chests. As the manufacturer claims, it’s “Half the price and holds more ice”. 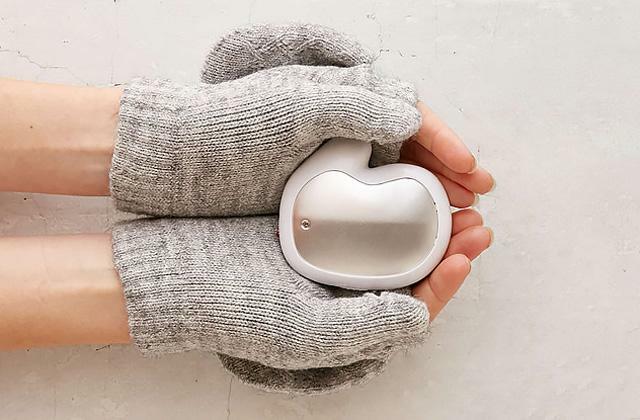 And although it’s made of soft material, it offers a thick layer of closed-cell insulation - 2 inches on top and 1 inch on sides to lock in the cold. The bag is manufactured from the same type of insulation that’s often used for wetsuit production. It’s highly praised for its super ability to maintain the temperature and resist water. After opening the bag for the first time, you’ll definitely see the difference. It’s much thicker than the majority of other soft coolers offer. Of course, the RTIC 20 Soft cooler can’t compete with hard-sided chests in terms of ice retention, however, it still can keep ice frozen for a decent period of time. 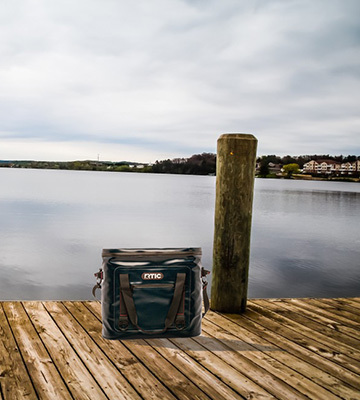 Equipped with a waterproof zipper and thick closed-cell foam insulation, this cooler can lock in the cold for up to 5 days depending on the weather and storing conditions. Overall, the cooler is well-built and long-lasting. It’ll definitely stand the test of time and your adventures. This soft cooling bag is just perfect for one person. You can easily load enough food and beverages for a day-trip if you’re traveling solo. It’s also a nicely-sized cooler for a romantic evening outing with your loved one. The dimensions make 14” x 13 ¼” x 9 ¼”, which allows you to store 14 cans of your favorite drinks, 20 lbs of ice, or 15 quarts (3.75 gallons) of liquid. When unpacked, this cooler weighs 3 lbs only, meaning it’s a good option for a daily use as well. Many people use it for their lunch boxes and are totally satisfied with the quality and cooling ability of this bag. So, if you’re searching for something sturdier than Walmart's soft insulated bags, this heavy-duty soft cooler is a solution. 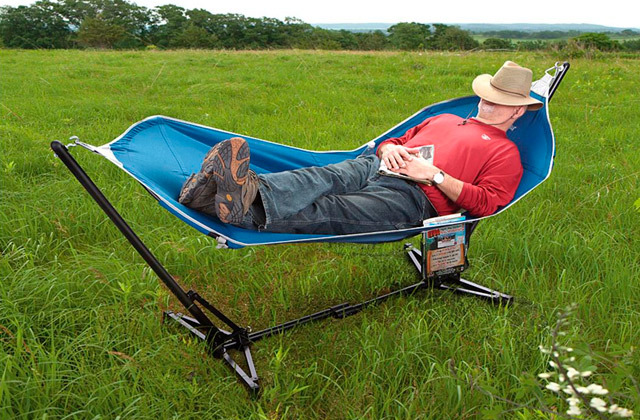 It’s extremely lightweight, compact, and easy to transport. And no wonder that it can nicely fit on the back seat of any car. 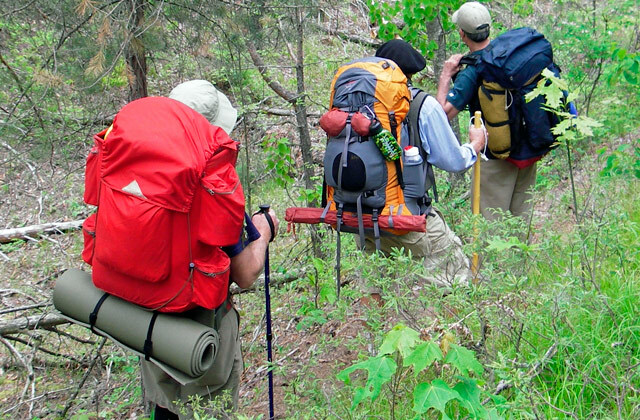 The RTIC Soft Pack 40 is an ideal companion for short trips. 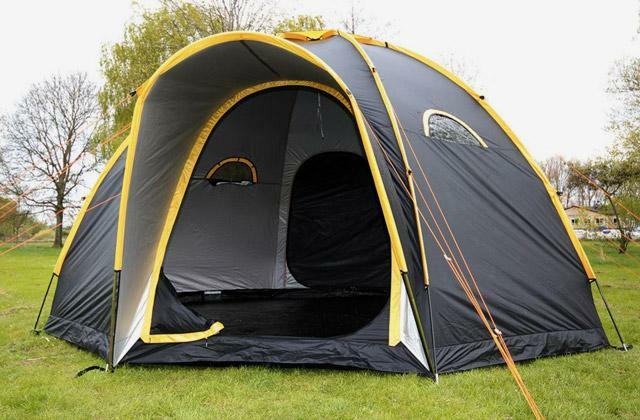 It has enough room to store food and drinks for a weekend camping or boating trip. And not solo-trip. It can hold enough stuff for 2 or 3 people. And with 2 inches of foam insulation, it will keep food fresh and drinks cool for up to 5 days unless you open the zipper too often. The RTIC 40 isn’t completely “soft”. This cooler is made of heavy-duty laminated nylon that can endure even the harshest conditions. It doesn’t function like typical soft bags and while other soft-sided models might break down, the RTIC Soft Pack 40 will never fail. The cooler is completely leak-proof, water-proof, sweat-proof, as well as puncture- and tear-resistant. 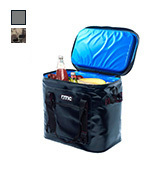 Therefore, this cooler will do a great job on the boat, at the back of your bike, or a campsite. And no matter the weather. The bag features welded seams which are extremely tough and the waterproof zipper which prevents the contents from leaking liquids. However, as with many other zippers, you might face that the RTIC zipper gets stuck from time to time. For this reason, the cooler is supplied with special zipper lubrication. The manufacturer has done its best for you to enjoy the full use out of your RTIC 40 Soft cooler. This soft RTIC Cooler is not only extremely durable irrespective of weather conditions but also very comfortable to use. The flip-flop lid opens fairly wide, making it easier for you to pack and unpack the contents into the bag. Overall, the cooler is reasonably-sized and easy to carry around. 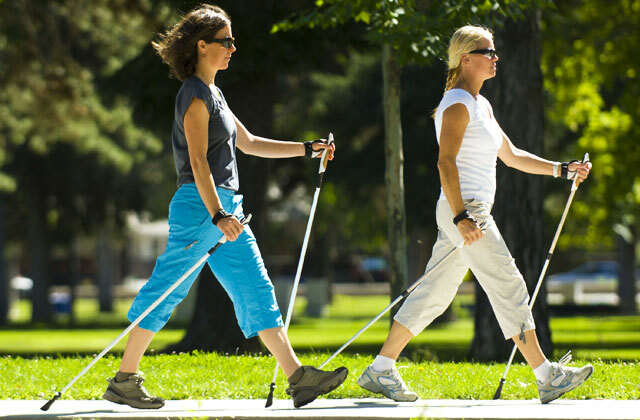 It has sturdy carrying handles on all sides and an additional shoulder strap that makes hauling even easier. So, you can have your both hands free for taking photos of beautiful sceneries right on-the-go. As for the interior, the bag boasts an anti-microbial waterproof liner that protects the bag from mildew formation. The liner is also very easy to wipe down after each use. 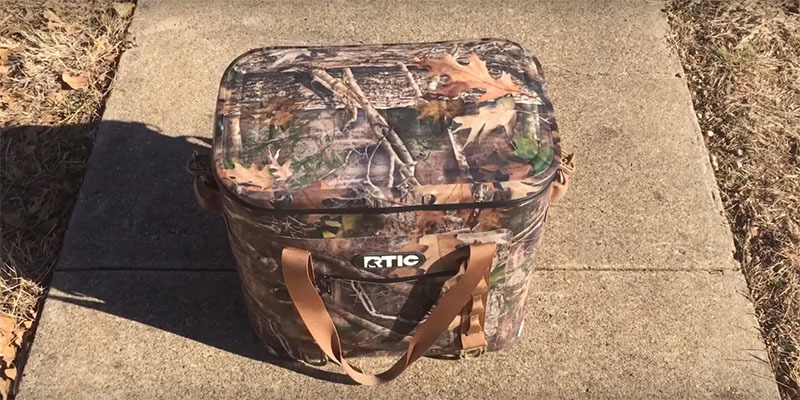 All in all, if you need a cooler bag that’s convenient to carry, simple to load/unload, and easy to maintain, the RTIC Soft Pack 40 is a perfect choice. 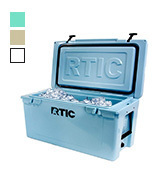 If you’re hesitating between the RTIC 20 and the RTIC 40 coolers, get the RTIC 30. It’s an amazing midsize soft cooler for two people. 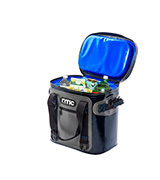 As it goes from its name, it can hold up to 30 lbs of ice or 20 cans of your favorite beverages. With 2-inch closed-cell foam insulation, the bag can keep cans, bottles, and anything else cool for up to 5 days even without prechilling. The thick layer of insulation will keep the ice from melting even if the bag is left in the direct sun or in a hot car. The bag is completely leakproof and smell-proof, meaning it doesn't matter what you're going to put in it, no liquid or odor will leak out. 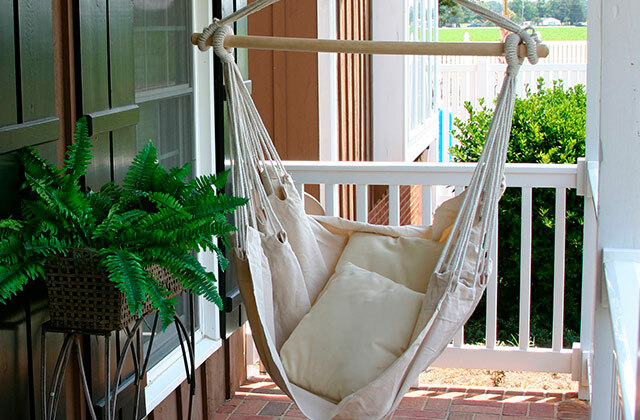 It has an antimicrobial liner that is mildew- and odor-resistant and easy to clean up. Being made of heavy-duty vinyl shell, the cooler is much stronger than most other soft-sided bags. It's highly resistant to damage and UV rays. Even if often leave it in the blistering sun, it won't fade. By the way, this soft cooling bag is available in several designs to suit your style best. 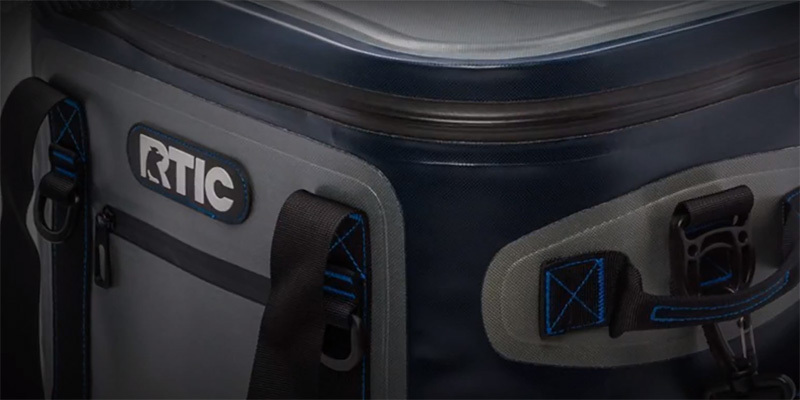 The RTIC cooler bag has an additional exterior compartment for small trifles like keys, cards, earphones, and similar items. And the shoulder strap makes it easier for you to handle and carry this bag. Overall, it's a perfect multipurpose soft cooler bag that can withstand extreme heat and fit perfectly any road trip, tailgate, or outdoor activity. Boaters, especially kayakers, as well as golfers will definitely appreciate this cooler. The trick is that it’s easier to stow in those places where hard coolers with square, rigid corners just couldn’t fit. So, those who tend to put their gear below decks or in a mini golf cart ride will find this soft cooler much more suitable. 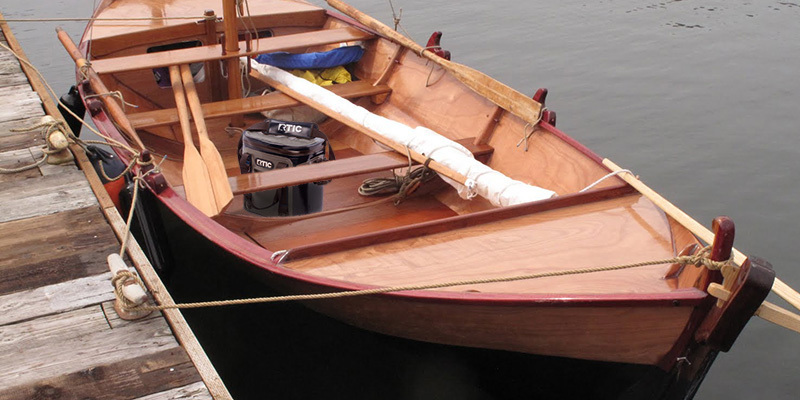 Plus, since its bottom is made from soft material, the bag won’t scratch your boat, canoe or any other tender surface. 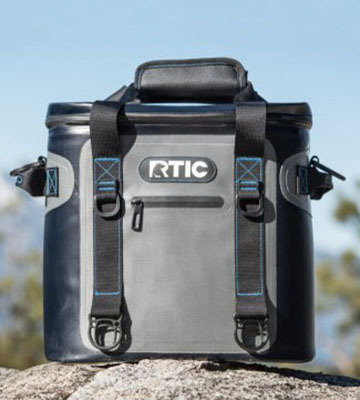 In case you need a safe ice bag that can hold a lot of perishables and other vital supplies for your water adventures, the RTIC 30 soft cooler is a good investment. 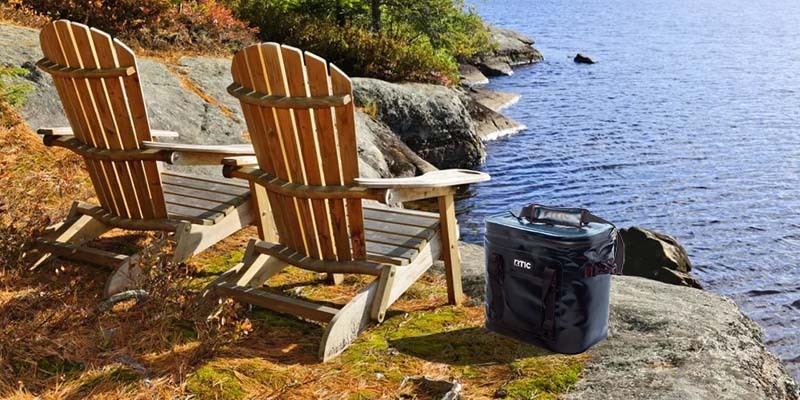 If you are an avid hiker, fisherman, camper, or outdoorsman in need of a high-quality cooler that would be able to accompany you on any of your road trips, you’re at the right place. 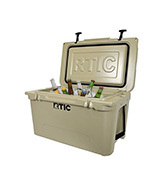 The RTIC company has a very appealing proposition with its broad selection of high-quality rotomolded ice chests and soft-sided coolers. 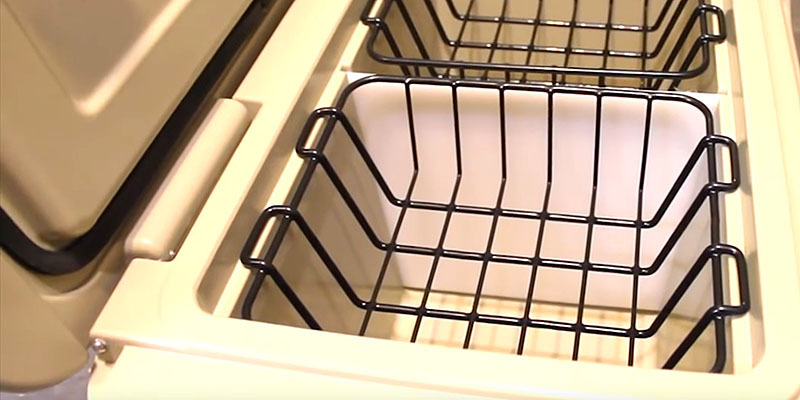 By getting yourself one of these coolers, you will not need to ever have to worry about the storage of your food supplies. The benefit of RTIC coolers is that they can keep contents icy cold for 5-10 days, depending on whether you buy yourself a soft-sized or hard-sized bag. 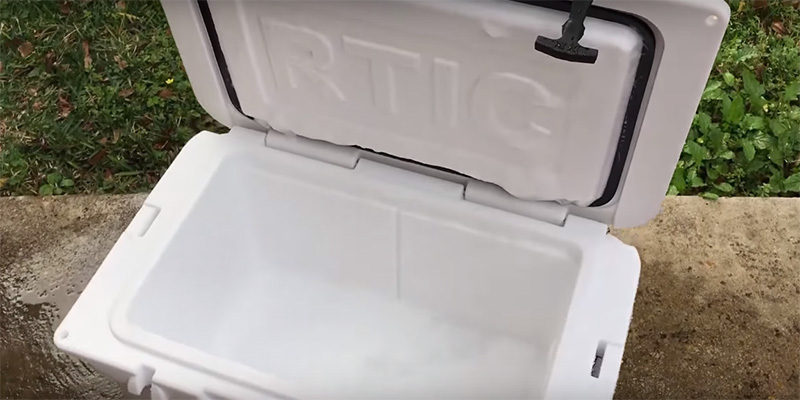 When it comes to durability, build quality, and ice retention, it won't be an exaggeration to say that RTIC coolers are one of the best on the market. They match up extremely well with other big names, yet are almost twice less expensive. And if you don't find a suitable model here, you're welcome to read our reviews of the five best premium YETI coolers. First of all, you need to decide on the type of a cooler. 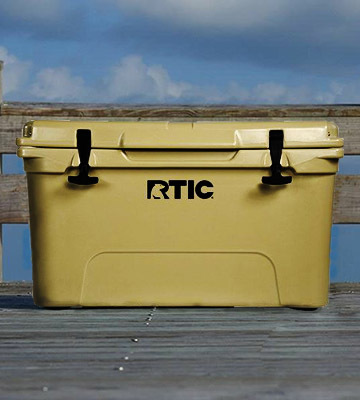 The RTIC brand produces both hard-sided and soft-sided coolers of premium quality. 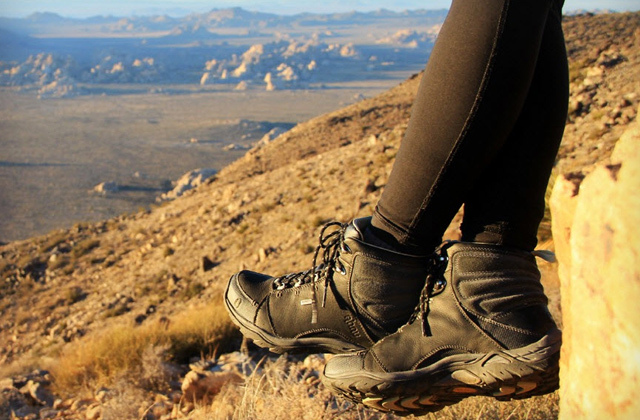 If you often go on long hiking trips, we recommend that you opt for a rotomolded cooler with thick insulation. A hard cooler can keep your food and drinks cool for up to 10 days, which is twice more than soft bags offer. The downside, though, is that because these coolers are usually made of thick materials, not all people find it convenient to carry them with them due to their quite bulky dimensions. For these situations, it will be better to opt for more flexible cooling bags. Being soft and light in weight, soft RTIC coolers can provide more flexibility in use, requiring a minimum of space. 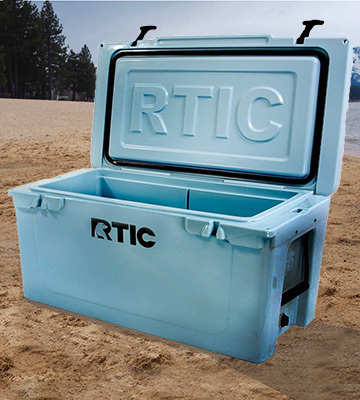 Also, soft-sided RTIC coolers are a better solution for short weekend getaways. Capacity is another important aspect that you should take into account. Most RTIC's hard coolers are going to come in 20, 65, 110, and or even 145-quart capacities. As for the soft-sized models, the range will include 8, 20, 30, and 40-quart options. The choice is vast, which makes them especially attractive for many users. If you wonder how much capacity you need, think about how often you travel and what you usually do when you're in the open field. If you like camping with gatherings of friends or you live with a big family, it's sensible to lean towards more capacious coolers. And vice versa, if you don't usually stay in nature longer than a day, a smaller model will fit you well. While you'd not normally expect an appliance like a cooler to have many additional perks, RTIC coolers have quite a lot to offer. What makes them superior to many other models is that in addition to keeping food cold they can also be used as an extra bench, step stool, tabletop, or cutting board, thanks to the traction lid that works as a casting platform. 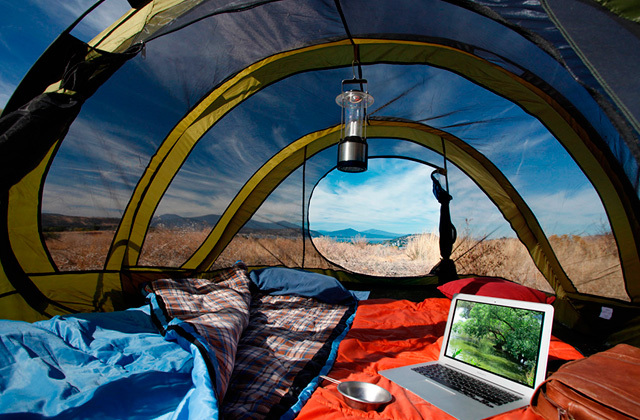 This makes them perfect for road trips, picnics, and camping. Also, they feature molded tie-down slots with which it's possible to anchor them on a boat, and include an integrated locking system which secures the contents of the cooler. Like with the hard-sized models, soft cooling bag feature many D-ring tie-down points for anchoring bags on boats, kayaks, ATVs, etc. Additionally, many of them have exterior pockets for storing small things such as keys, cards, and other stuff. Also included in soft cooling bags is a shoulder strap allowing you to travel with comfort while keeping your hands free. Many users put warm drinks and food into a cooler, thinking that the ice blocks will do all the job by cooling them and turning into chilly beverages and fresh sandwiches. Actually, that’s true, but if you expect the best performance out of a cooler, leave perishables in your fridge before loading them into your cooler. The ice in the cooler will melt more slowly if the contents is already cold. During lengthy trips, this tip is a must. Also, you can add some salt inside as it lowers the melting point of ice. You can also pre-chill your cooler, if its size allows. If it’s too large to load in your fridge, you can just put it in any cold environment such as a garage or basement. Another recommendation is to toss a few ice packs in advance. Try various combinations of ice. While crushed ice usually melts faster, it also cools food and drinks more effectively. Blocks of ice take longer to melt, and that’s why it’s a sensible option to put them on the top to insulate the crushed ice and slower its melting. For extended trips, opt for dry ice. Another good idea is to fill balloons with water, freeze them and then nestle them around your beverages and food. By the way, after complete thawing of balloons, you can host a fun water balloon fight. Load your cooler strategically. Pack food and drinks depending on the order you’re going to consume them. Put the items you’re planning to consume last at the bottom and place those items that will be utilized first on the top. Even the best coolers on the market won’t perform well if they're left in the boiling sun. So, in case you have shade at your campsite, place your cooler there. 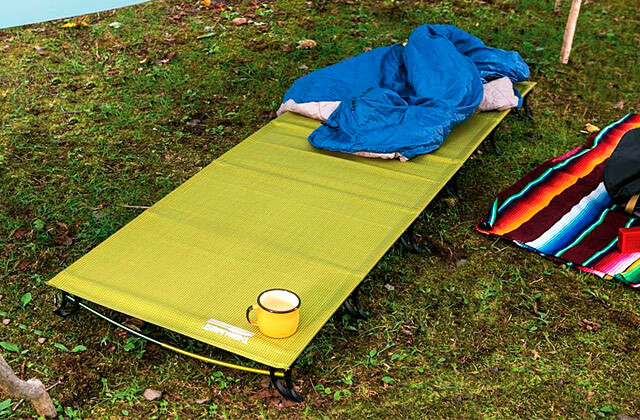 If there are no spots with shade, put blankets, towels or sleeping bags over your cooler. Once you open a cooler, the cold air to will escape and promote the melting of ice consequently. Therefore, try to minimize opening the cooler too frequently. Simply grab several drinks at a time for yourself and for your friends. Also, try to get everything you need for cooking a meal at once. The icy cold water can keep your beverages chilly for quite a long time. 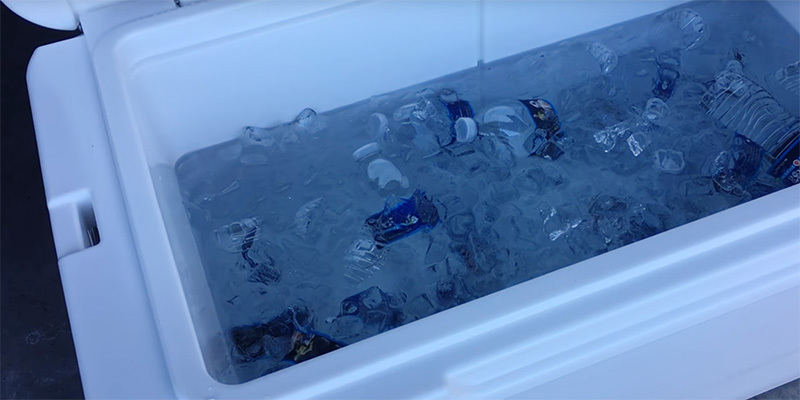 So, you can get the most out of your cooler if you don't drain the melted ice at once. Wait until the water is lukewarm temperature.